As uninteresting as it might sound, I’ve found that actually thinking about and eventually writing down the products that I want to focus on in a particular month, whether it is to focus on using up products, deciding how I feel about them or making sure that I’ve given them a fair trial before providing a full review, is rather helpful. I’ve been doing this for a few months but this month I decided that I would try posting about it. Shortly after beginning the blog, I reviewed this powder and my opinions have not changed since; I do enjoy this un-powdery powder for its natural look, semi-matte finish and suitability over dry skin. I’m just nearing the end of the product so I’m making an effort to finish up the remainder. Back in May, I found myself purchasing this darker neutral-toned brown shade for contouring purposes. I enjoyed how it had that nice and blendable matte formula and had none of that usual bronze tone or orange-hued lean so it would be a great option for contouring but didn’t have a muddy grey look either. I’ve really enjoyed using this with a light hand to contour and have found that it pulls less rosy than other contouring offerings that I have, but I’m continuing to work with it. I’m obsessed with chemical exfoliants and for ages I’ve wanted to try one of these acidic masks that would not irritate my skin and I’m working on trying this one out. I was using this when I experienced a bout of irritation and dehydration, but I’m by no means convinced that this was the culprit – however, I want to continue trying out this hydrating and exfoliating AHA mask. I’m beyond thrilled that this natural product is inexpensive and formulated without the usual irritants. The pumpkin, hyaluronic acid and honey intrigued me as well. 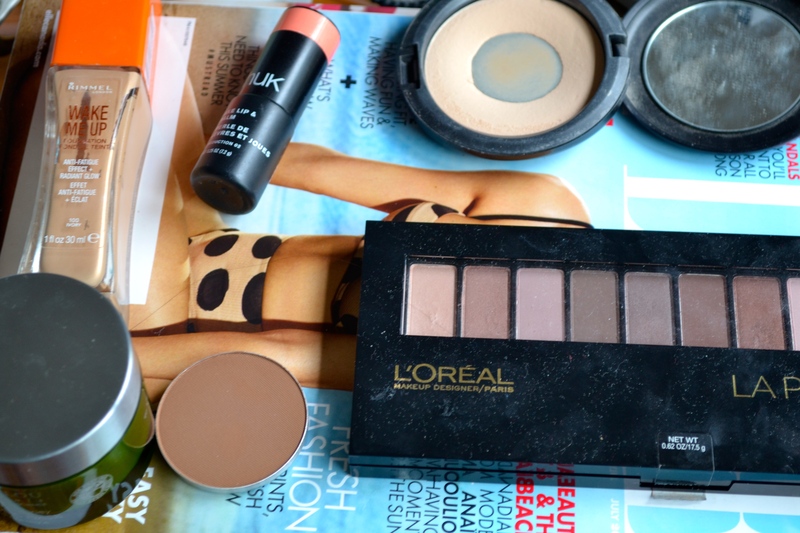 I fell in love with using the somewhat affordable L’Oreal palette last month, as I detailed in my May Favourites but I honestly haven’t given all of the shades a fair try; I’ve found some staple colours in the palette that I know and love and have stuck to the same kind of look over and over. Before informing you all on my final verdict of the palette, I need to try out all of the shades and test the versatility of the palette. What are you making an effort to use as of late?